The Zodiac Coastal Life Rafts boasts features that are typically found in most offshore rafts such as a double tube design and a complete self erecting canopy. 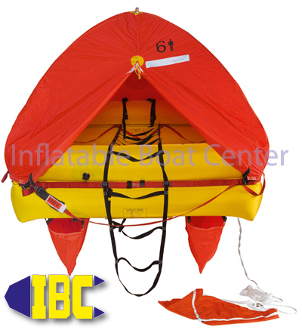 With its large ballast bags and standard survival equipment these rafts are a great value! Choose between a soft valise storage bag or a hard shell canister for deck mounting (requires additional cradle and hydrostatic release mechanism).